900 Finished sq. 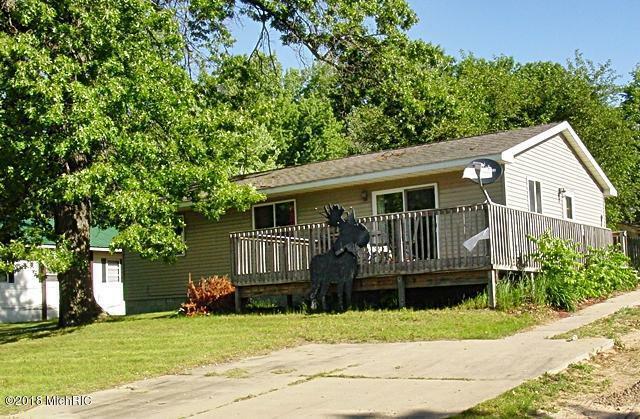 ft. 2 bedroom ranch with deeded access to Big Upper Evans Lake/Martini Chain of Lakes in Barryton Michigan. This beauty is move-in ready with a modern kitchen, dining area, living room, full bath and laundry room. Deeded access is an 8 ft. boat parking area on a lake channel just a short walk down the street. This home also has a nice wood front deck with great views of the lake and also has a 5x8 like-new storage shed on the lawn in the back yard. Make an appointment todayso you don't miss out on this beauty!